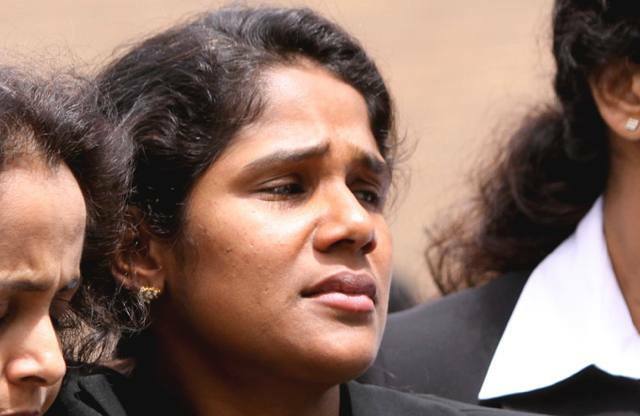 Atlanta, GA: Indian-American millionaire socialite, Annie George, 40, went on trial recently for allegedly keeping an undocumented immigrant as a “slave” in her upstate New York mansion, reported CBS in Albany. Valsamma Mathai, 49, testified that she was held in the 30,000 square foot, 26-bedroom Llenroc Mansion in Rexford, New York for six and a half years as she worked 12 hours a day, seven days a week, and slept in a walk-in closet. Mathai, an undocumented immigrant from India, said she was picked up at a New York bus station by George’s late husband Mathai Kolath George, who spoke her native tongue and offered a job that would pay $1,000 per month. George’s husband died in a plane accident in 2009. When she arrived, however, Mathai claims she did not have her passport or visa, and was rarely allowed to leave the house. She further claims she has only been paid $29,000 since and investigators are saying the woman is entitled to $77,000 for the last two years and about $206,000 for the entire six years of employment, reports HuffingtonPost.com. The minimum wage for New York State is $7.25 per hour for a standard 40-hour work week, which calculates into George only reimbursing the maid $.85 per hour. It wasn’t until the National Human Trafficking Resource Center received a tip from the woman’s son, who prosecutors said recorded a conversation with George, that agents came to her rescue. A criminal complaint was filed last March. An affidavit by special agent Daria Botten said the woman recounted asking George, also known as Annie Kolath and Sajimol George, and her husband to let her return to India, but was told she lacked the necessary immigration documents. George brought her to see an attorney, and deducted $4,000 from her pay, but she never got documents. George is facing a charge of harboring an undocumented immigrant, which carries a maximum sentence of 10 years in prison. According to the Huffington Post report, exacerbating the charges is George’s apparent colossal wealth, which boasts a 34-room mansion, helicopter pad, a massive solarium, and glass elevator.